Erik Prince, founder of the company once known as Blackwater, is again touting his controversial proposal to turn over the 17-year-old Afghanistan war to 6,000 private military contractors which he says would “cost a fraction of … the 45,000 foreign personnel currently in the country,” reports Military Times. 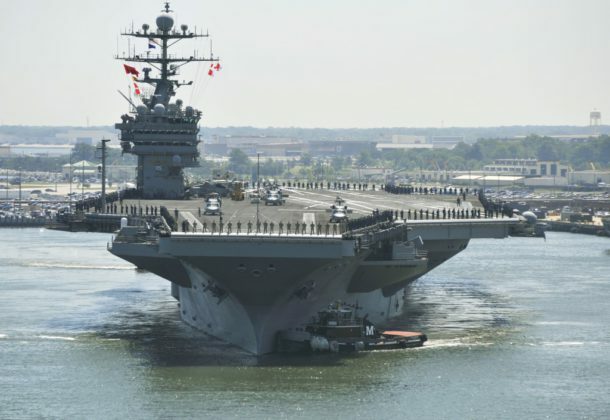 The nation’s newest aircraft carrier, the USS Gerald Ford, has also returned to Norfolk for a year of planned upgrades and fixes, reports Navy Times, most notably its electromagnetic launch system. More than 130,000 veterans can apply for refunds of taxes they paid on disability severance pay dating back to 1991 — a minimum of $1,750 per veteran, reports Military Times. These refunds are the result of a law passed in 2016 — the Combat Injured Veterans Tax Fairness Act of 2016 — which applies to veterans who received this pay dating back to Jan. 17, 1991, with taxes withheld. Military binge drinking is down but e-cigarette smoking is up, reports Military Times. Surveys show that both areas still need to be addressed to lower the percentages. Researchers recommended DoD officials pay attention to the increasing use of e-cigarettes — 12.4 percent of those surveyed reported using them in the previous month, compared with 4.6 percent in 2011. Hairstyle changes for women and earrings for men off duty coming to the Air Force, reports Air Force Times. 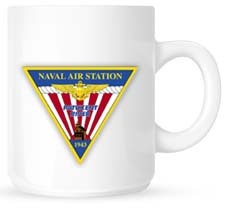 But the changes do not extend to the Naval Academy, reports Navy Times. The academy “will look at the policy and discuss how the regulations for midshipmen will change moving forward, ” said an academy spokesman. High-level military talks between US and North Korean were held for the first time in nine years, a move that veterans advocates hope will advance efforts to recover the remains of thousands of fallen American troops. The UK selects Lockheed to help develop its first domestic commercial spaceport in Melness, Scotland, reports Defense News. Britain introduced its concept for a new fighter jet at the Farnsborough Airshow, seeking development of the Tempest combat aircraft through international cooperation, reports Aviation Week. A year ago France and Germany announced plans to jointly develop a future European fighter. Along with the reveal of the new aircraft, reports Defense News, the formal signing of the UK’s future combat air strategy took place on the opening day of the airshow. A joint program office — consisting of government divisions alongside BAE Systems, Leonardo, MBDA, and Rolls-Royce — will develop the new design under commitments made in the UK’s 2015 Strategic Defence and Security Review that allocated $2.6 billion in funding of technology by 2025. Federal authorities charged a Russian citizen living in Washington, DC, with conspiracy to act as an illegal agent of the Russian government, reports Politico. Mariia Butina, 29, at her appearance in court Tuesday, asked to be released from jail, her attorney telling US Magistrate Judge Deborah Robinson that Butina was not a flight risk. US News reports France was a nation sorely in need of a boost as the nation celebrated its national soccer team returning with the golden World Cup trophy in hand. “Eternal Happiness” said Monday’s headline in the sports daily L’Equipe, summing up the mood of many.